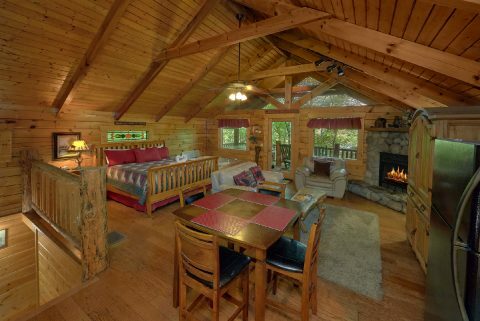 "Dreamweaver," a cozy honeymoon cabin in Gatlinburg, TN, provides couples a mountain retreat built for romance. 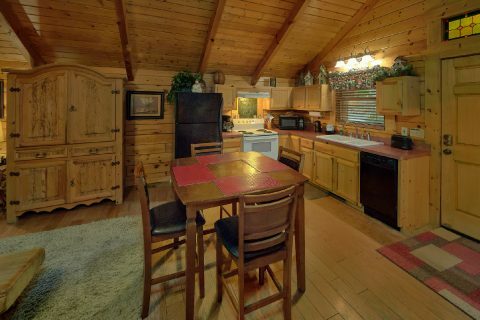 This Sky Harbor Resort cabin features a spacious heart-shaped jacuzzi, gorgeous gas stone fireplace, hot tub, and more! 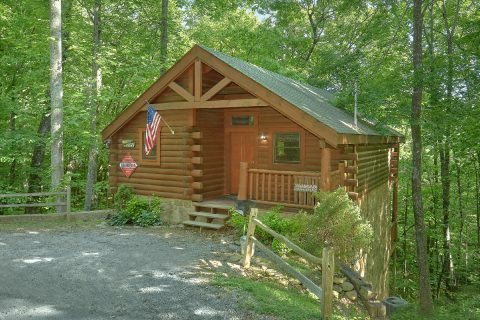 Discover why this cabin between Gatlinburg and Pigeon offers the perfect lodging for a romantic mountain vacation! 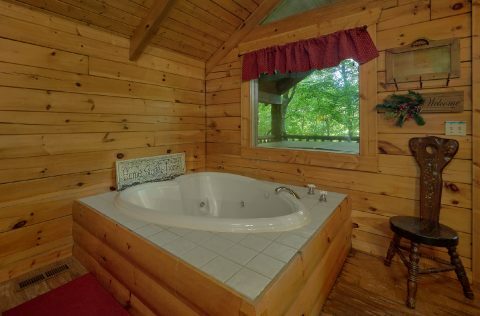 Vacationers will enjoy all the amenities provided by this cabin with a heart-shaped jacuzzi. 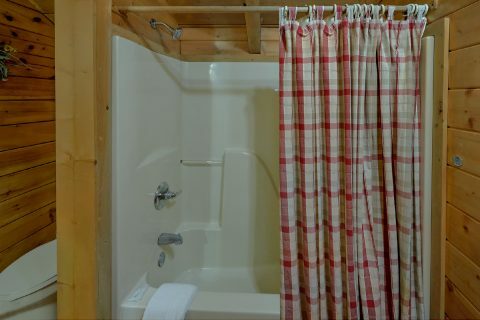 Prepare a romantic dinner for two in the fully equipped kitchen or throw a couple of juicy steaks on the charcoal grill while your sweetheart relaxes in the nearby hot tub on the covered porch. 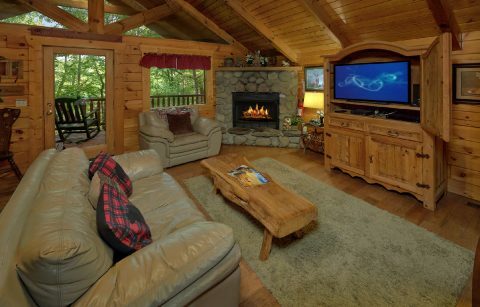 Inside, this Sky Harbor cabin's open floor plan provides guests with a handsome king-size log bed, plush seating, and a gorgeous gas fireplace wrapped in stone. 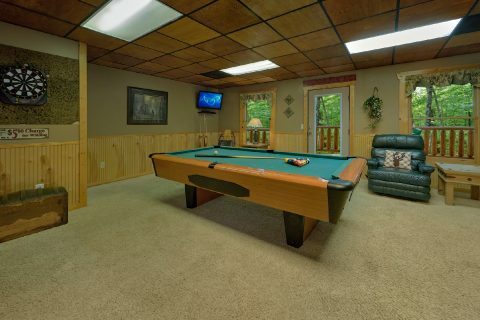 Downstairs, the game room's satellite television, full-sized pool table, mini basketball game, and dartboard will provide you with hours of indoors fun. While the Smokies offers plenty of activities for your romantic retreat, imagine coming home to your honeymoon cabin in Gatlinburg, TN with a roaring fireplace and comfortable bed. 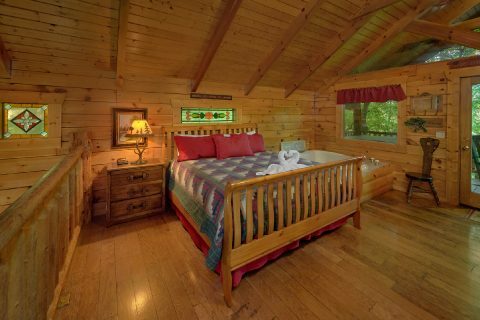 This Sky Harbor cabin was built for romantics and will have you wanting to spend more nights in this cabin with someone special. 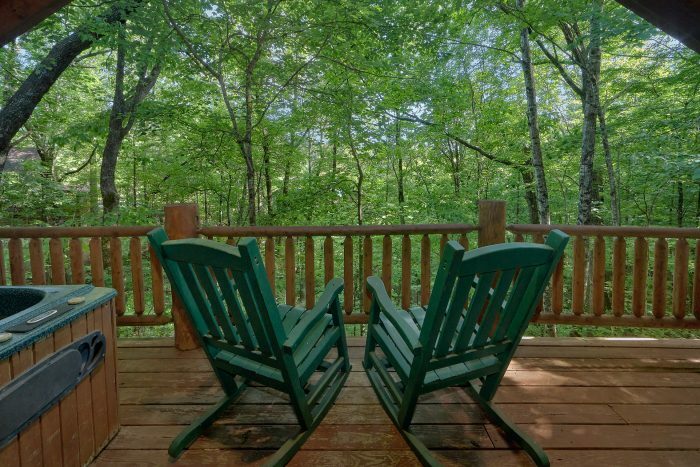 Make "Dreamweaver," a honeymoon cabin in Gatlinburg, your first step towards a memorable Smoky Mountains vacation. 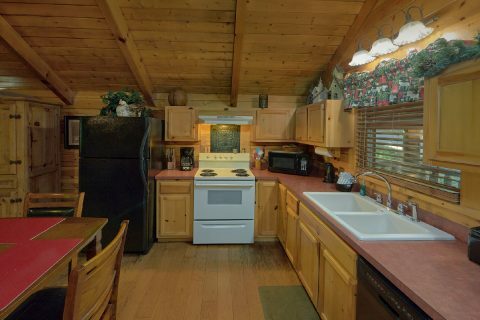 Book your Sky Harbor cabin Online for immediate SAVINGS!